My little two year old foster son loves elephants. Quite frankly, this is an understatement. The little guy has a plastic elephant toy that he plays with daily. It takes many rides around the house in the back of the big yellow dump truck and has been known to sit next to him at the dinner table. He packs it around in his arms, sits it next to him on the couch for episodes of Barney, and builds it houses out of chunky legos. It’s all very sweet. She’s big and friendly. Elephant! with her floppy king-sized elephant ears. 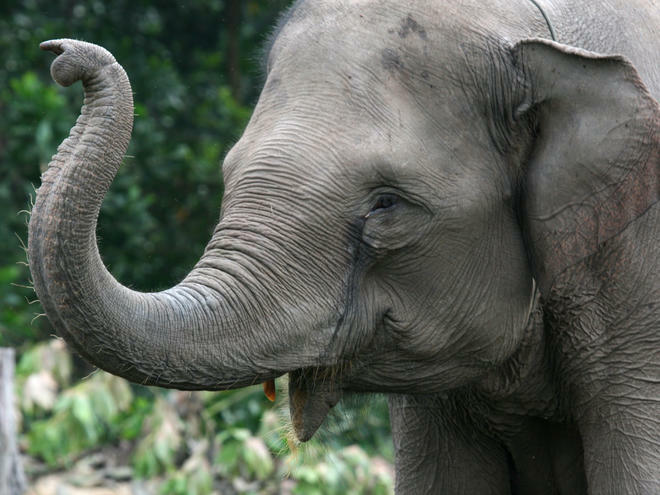 Got a trunk for a nose as long as a hose! The elephant. Elephant! The elephant. Elephant! I know the words quite well as we sing it rather often. You’d be surprised at how many books there are with elephants at the library. Let’s just say there are enough that you can’t check them all out at one time. Try explaining that one to an elephant-obsessed two year old. I’ve discovered something interesting in the past few weeks. Elephants, it seems, are just about everywhere. They turn up in the oddest places, like on cookie or cereal boxes at the grocery store, and TV commercials in the waiting rooms at doctor’s offices. Not a day goes by when my little guy doesn’t manage to find an elephant in hiding in the most unlikely places. Still, I knew we had reached a new level of obsession when the little guy kept asking me for an elephant snack last week. “Elephant snack? What on earth is he talking about,” I wondered. He grabbed my hand and walked me over to the kitchen counter. With a chubby finger, he pointed at the red can of mixed nuts. “Dat,” he said seriously. I looked closely, confused at first … and then suddenly I saw it, too. 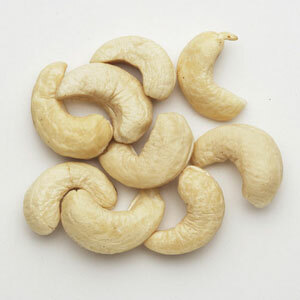 The cashew nut had a shape that looked very similar to an elephant’s trunk. I laughed with delight, enjoying the new perspective. This past week, God has used our foster son’s obsession with elephants and his ability to find them everywhere, even in a can of mixed nuts, to remind me of an important truth. God is all around me. I don’t have to look hard to see Him or His glory. In fact, if I just look, I will see the evidences of Him everywhere. Best of all, the more I look for Him, the more I will find Him. how cute – Have you shown him a Dumbo cartoon? My nephew memorized all of the dialogue when he was little. This is beautiful. I love this story and how you connected it with our own seeking hearts. When we are consumed by our love for the Lord, we see Him everywhere. Oh, Lord … I want this!! I want it too, Dianne … such a wonderful gift from the Lord when we delight ourselves in Him.